This is Berlin’s only active cemetery and is managed by an association. 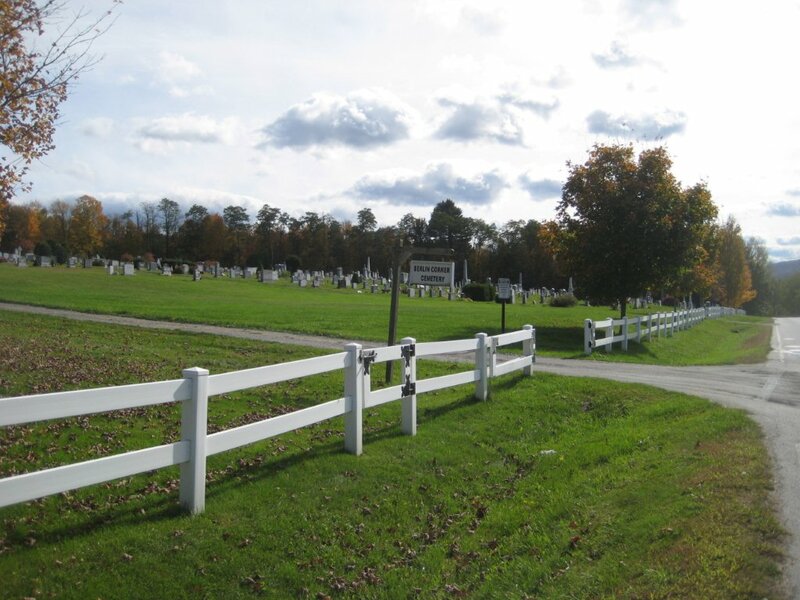 The Cemetery is located on Scott Hill Road just a bit beyond the Berlin Corner Congregational Church and on the same side of the road. The Berlin Historical Society indexed this cemetery in 2012, updating the index developed by Society Members in 1985. Pictures have been taken of each stone and numbered according to the index and those pictures can be obtained by sending a request to historicalsociety@berlinvt.org.